Last month I wrote about the Brony craze and the suggestion that BronyCon might just make us modelers feel a little better about ourselves. And now there's more to the story. Maybe. 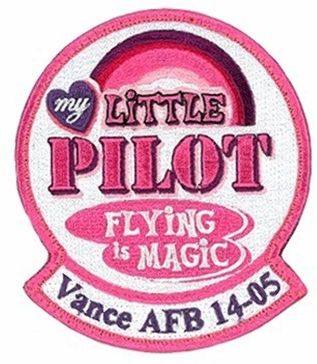 U.S. Air Force pilots have a wicked sense of humor, which is evident when you see the patch of UPT Class 14-05 from Vance AFB. "Situational awareness" is of vital importance to fighter pilots, and apparently it extends to popular culture. Either that or there's a Brony in north-central Oklahoma. I can't wait to see their graduation video on YouTube!